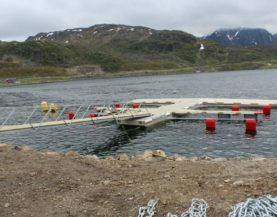 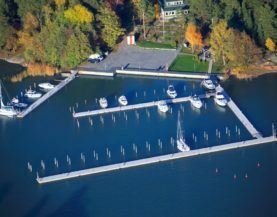 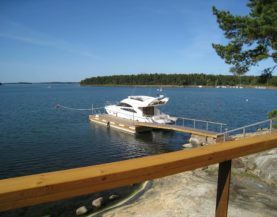 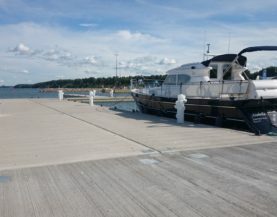 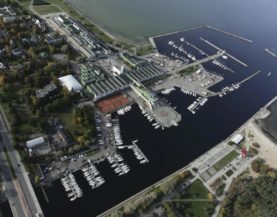 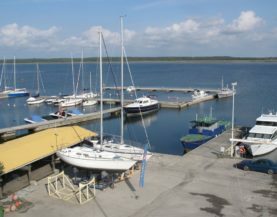 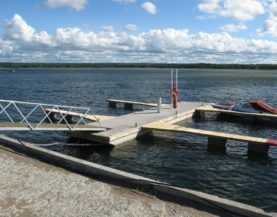 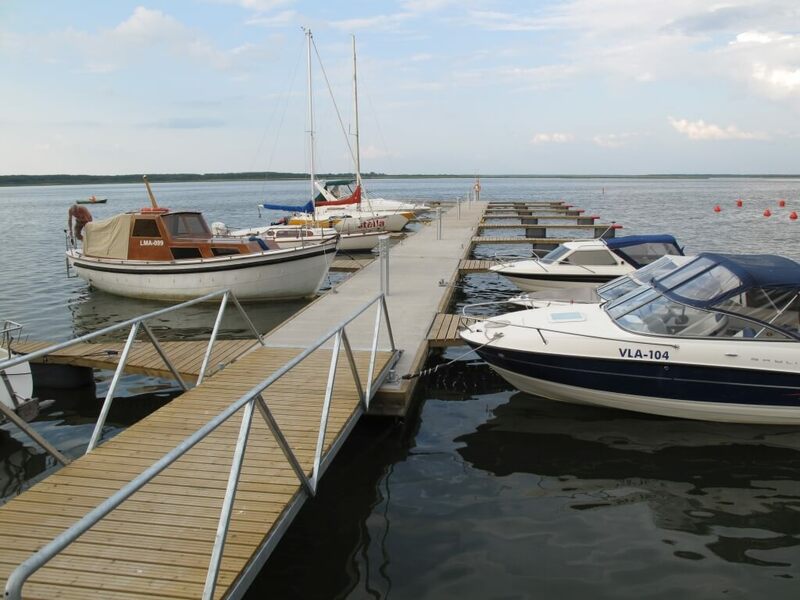 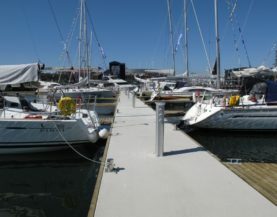 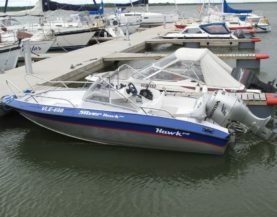 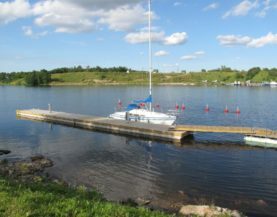 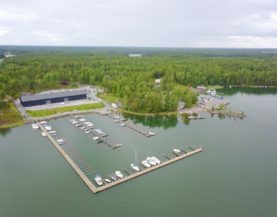 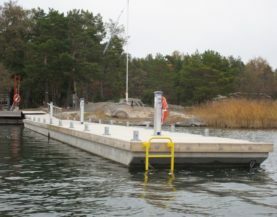 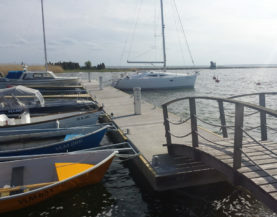 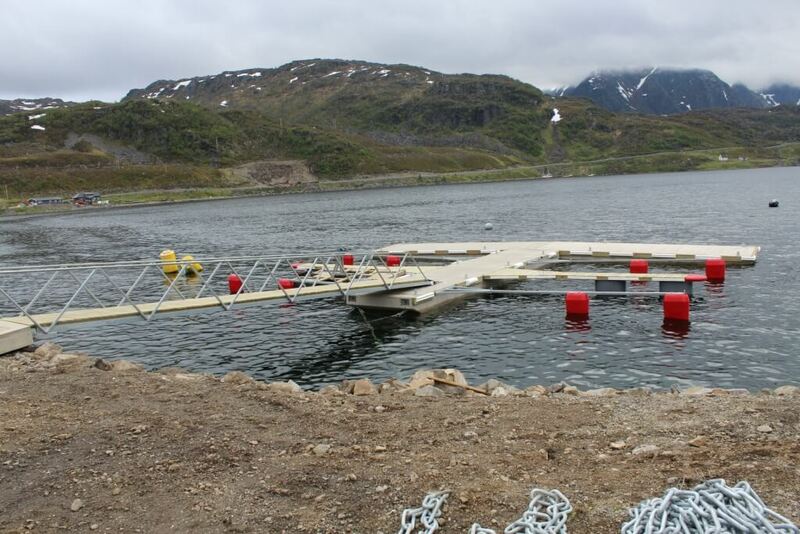 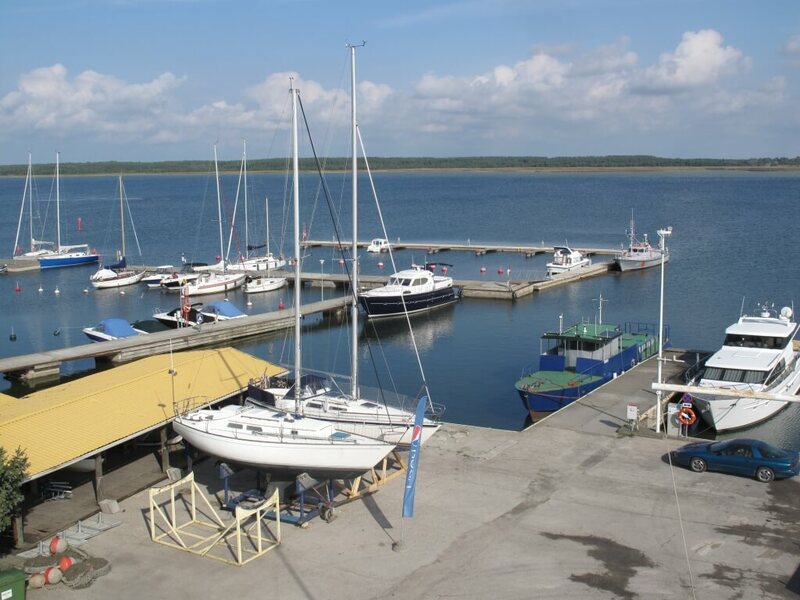 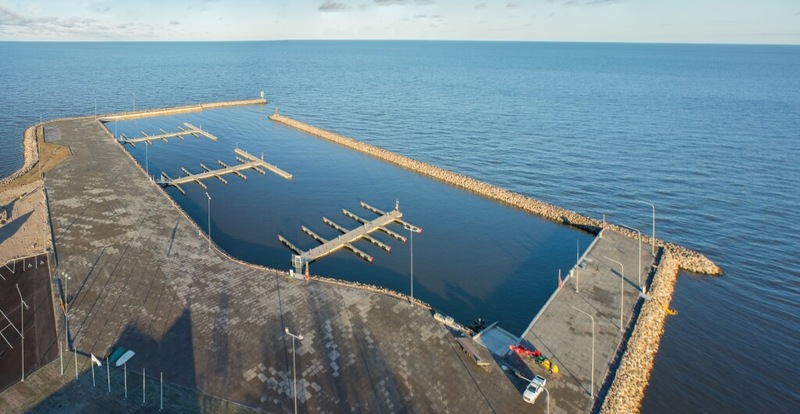 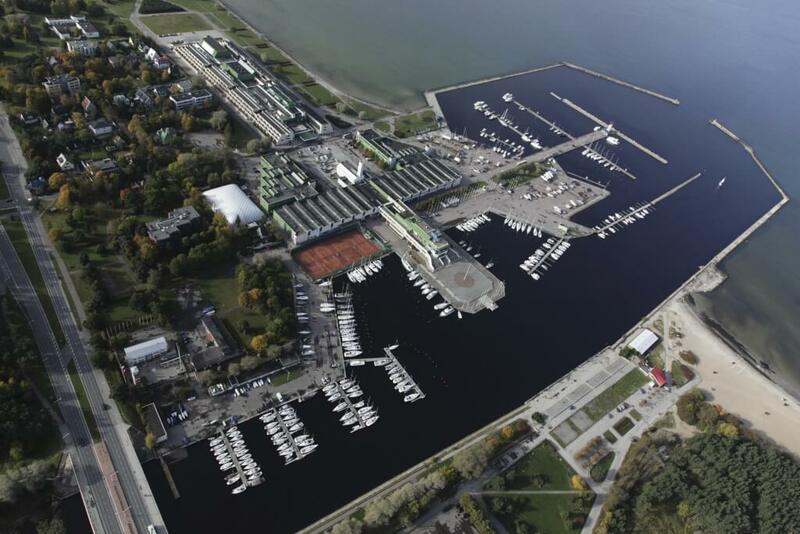 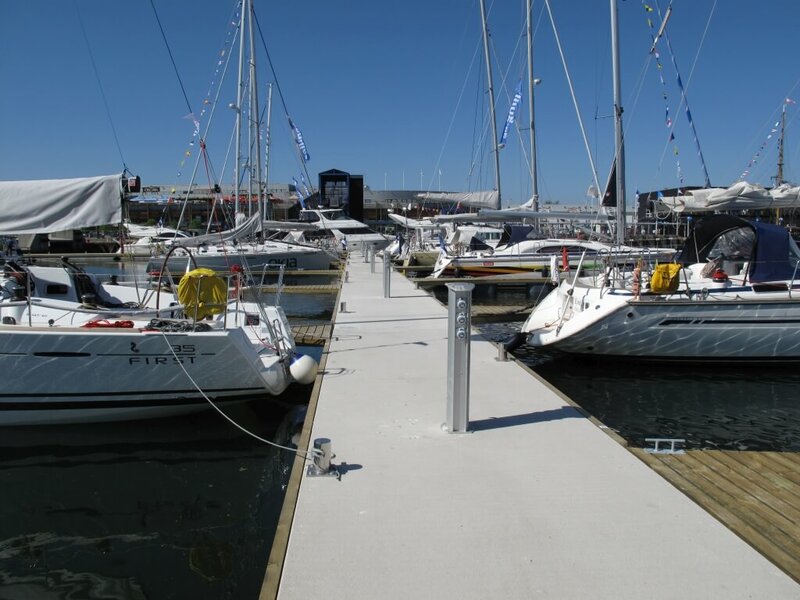 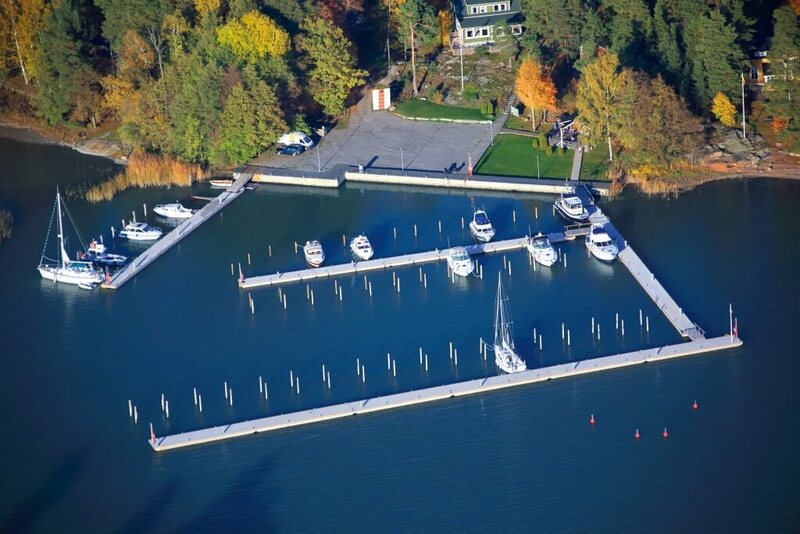 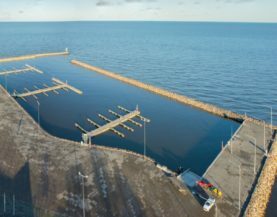 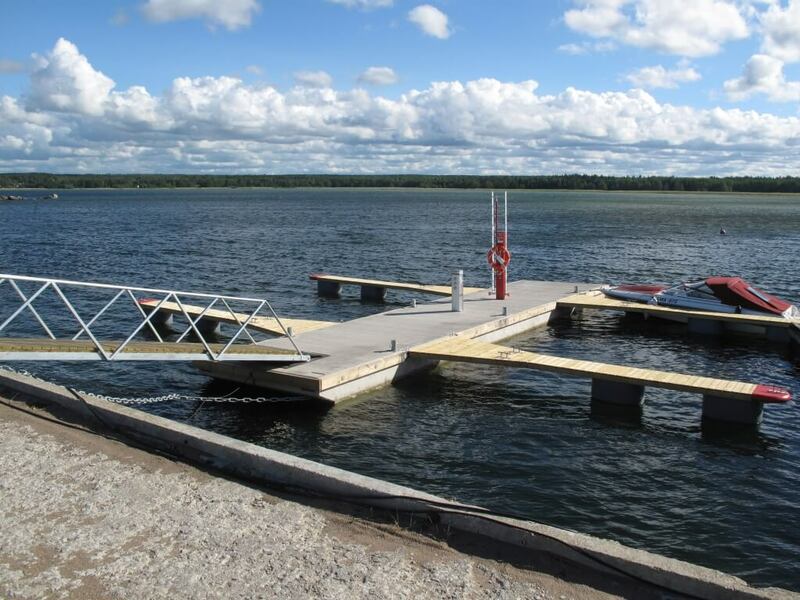 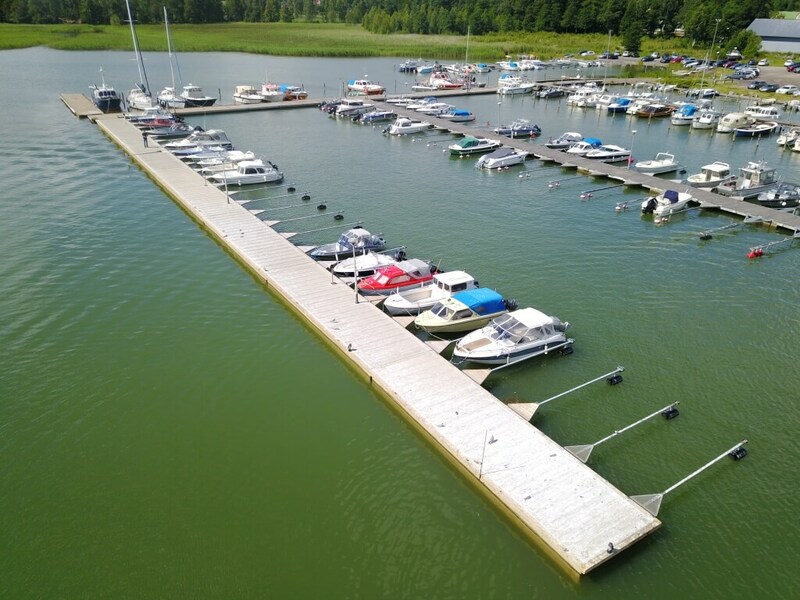 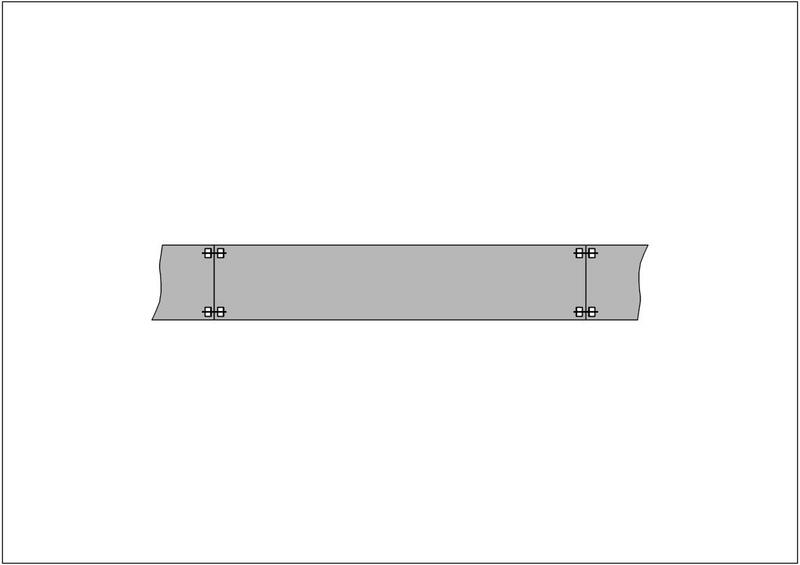 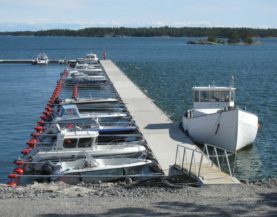 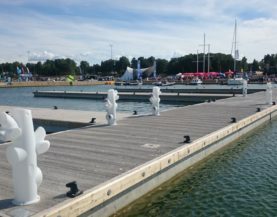 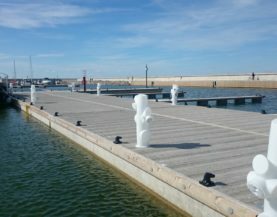 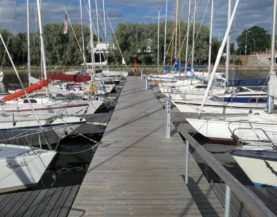 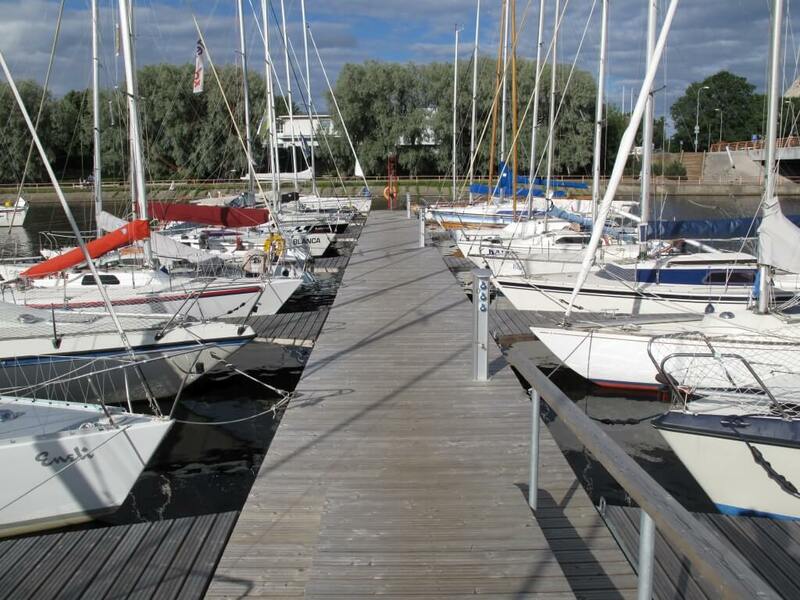 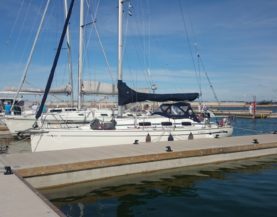 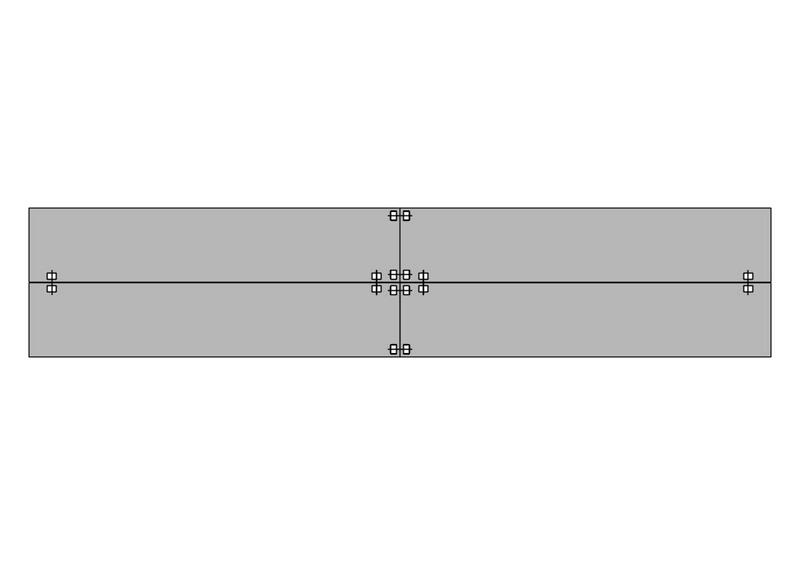 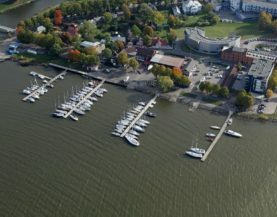 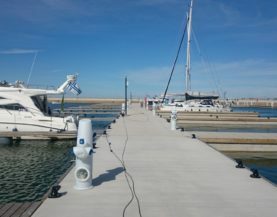 Heavy duty pontoons are intended for use in boat and yacht marinas that are protected naturally or by a breakwater, where the permitted wave height is up to 0.5 m.
Heavy duty pontoons are very stable and with high load-bearing capacity, which means they can also be used as breakwaters or floating platforms. 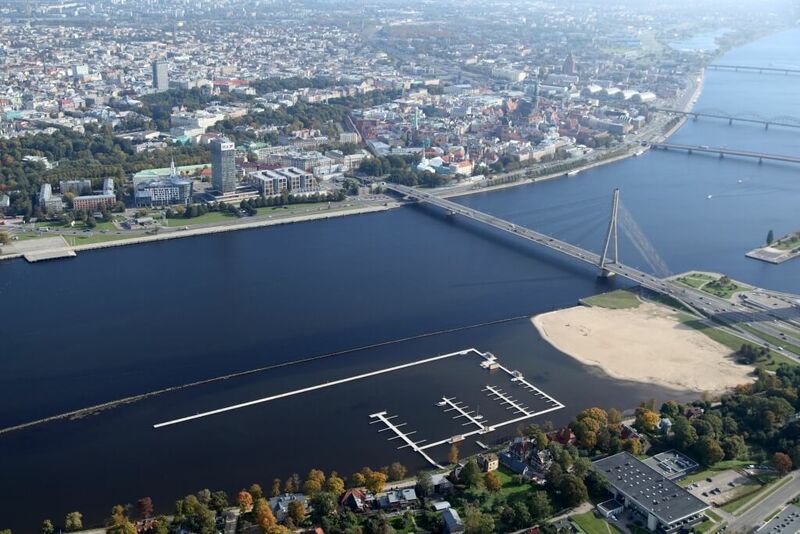 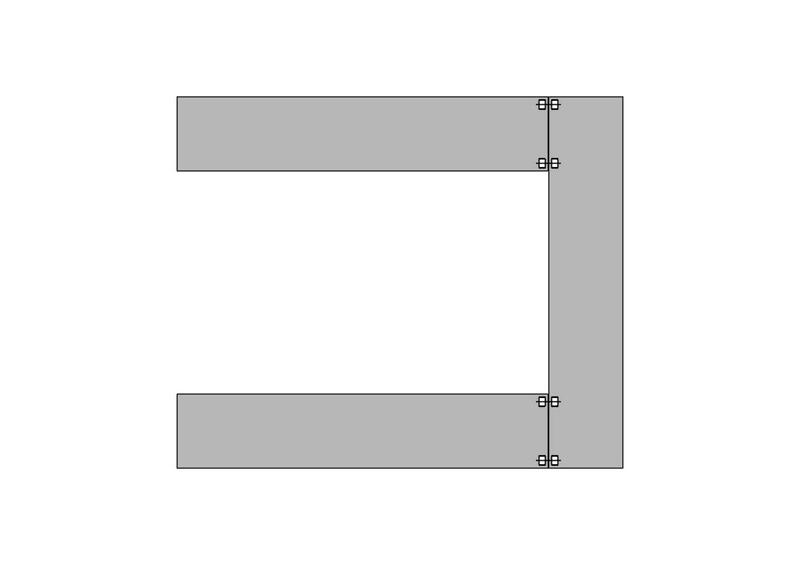 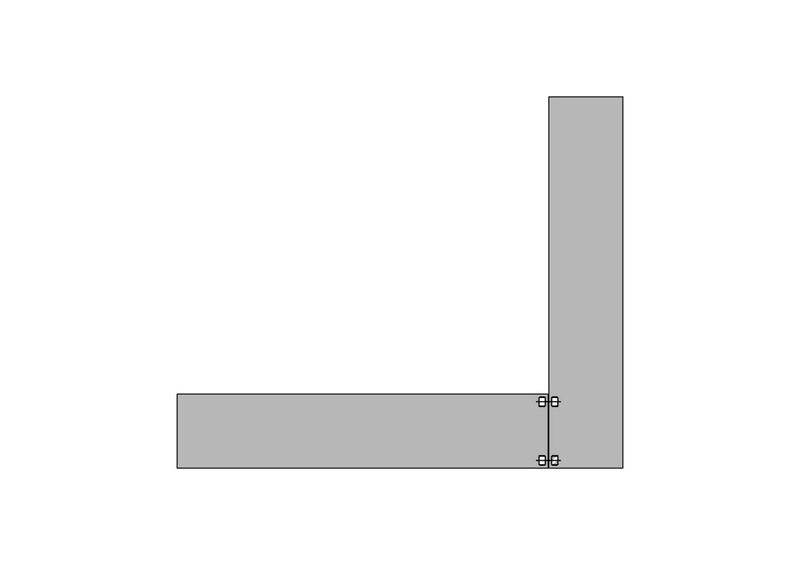 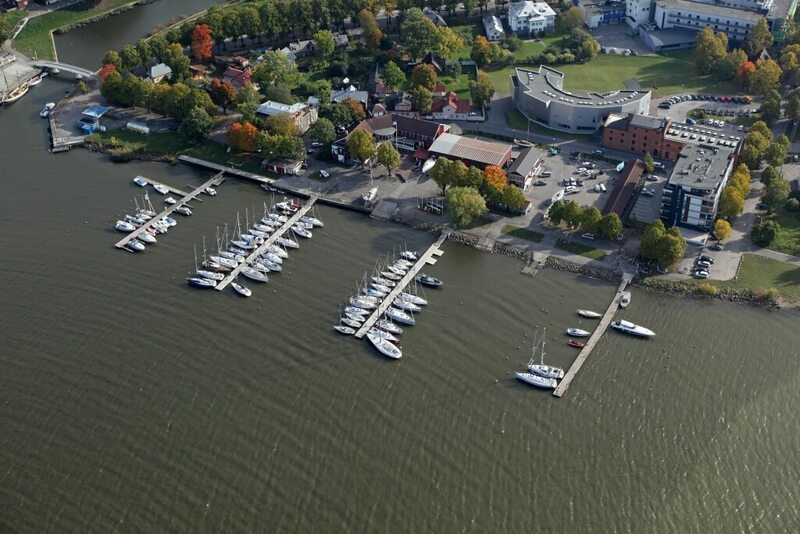 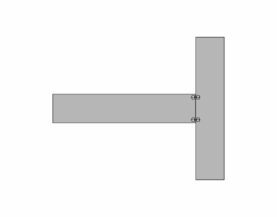 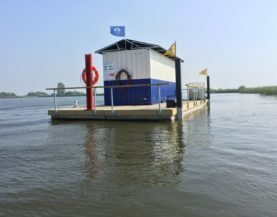 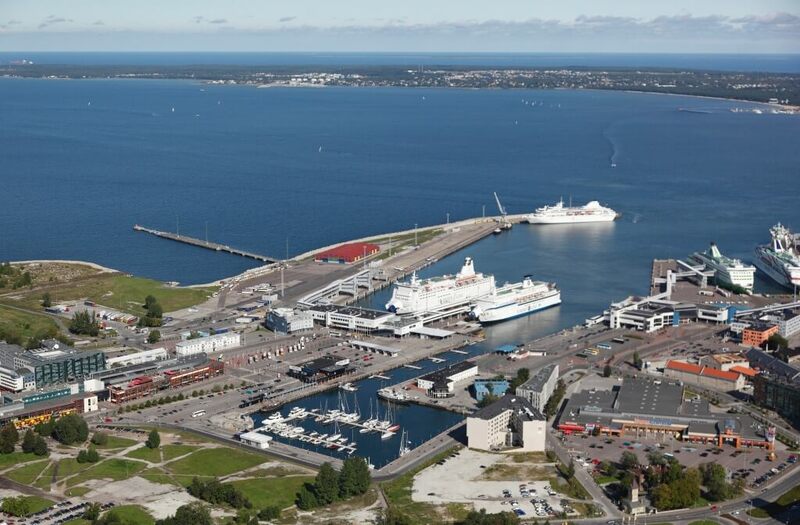 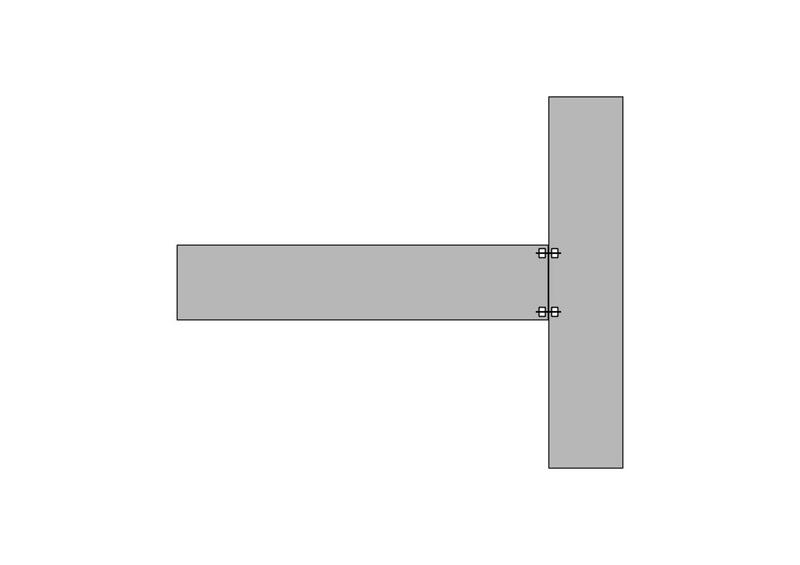 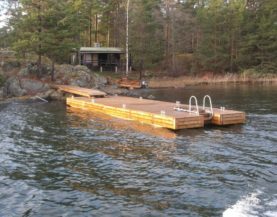 In the latter case, for example, a shelter, a floating house or a floating sauna can be built on top. 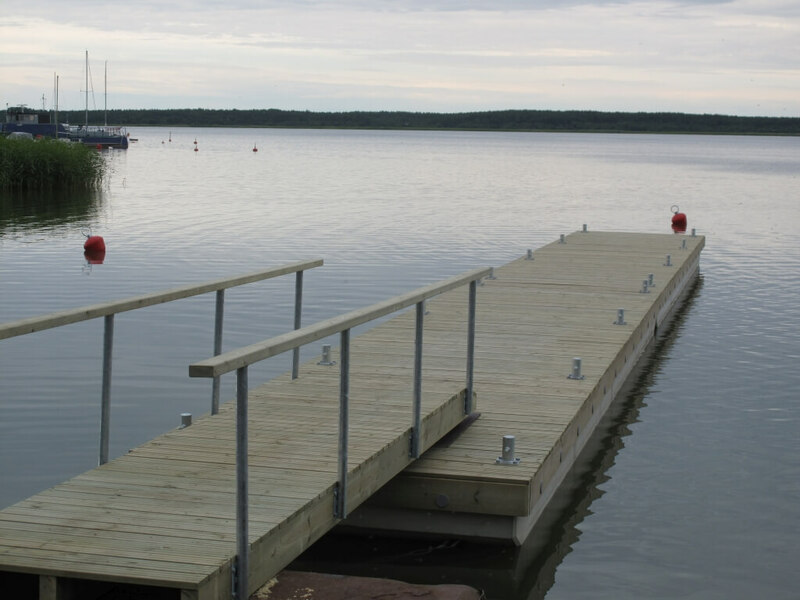 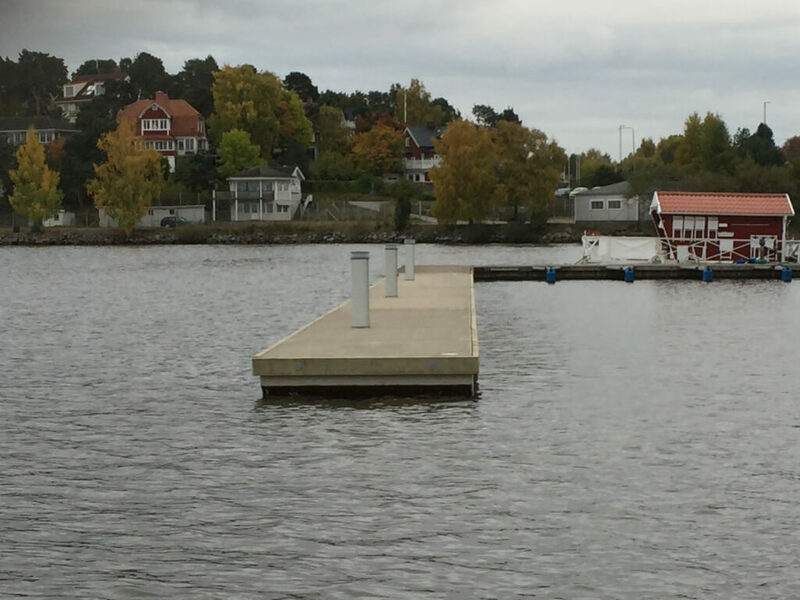 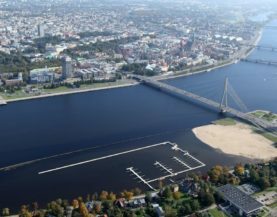 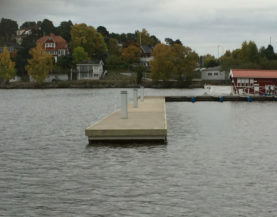 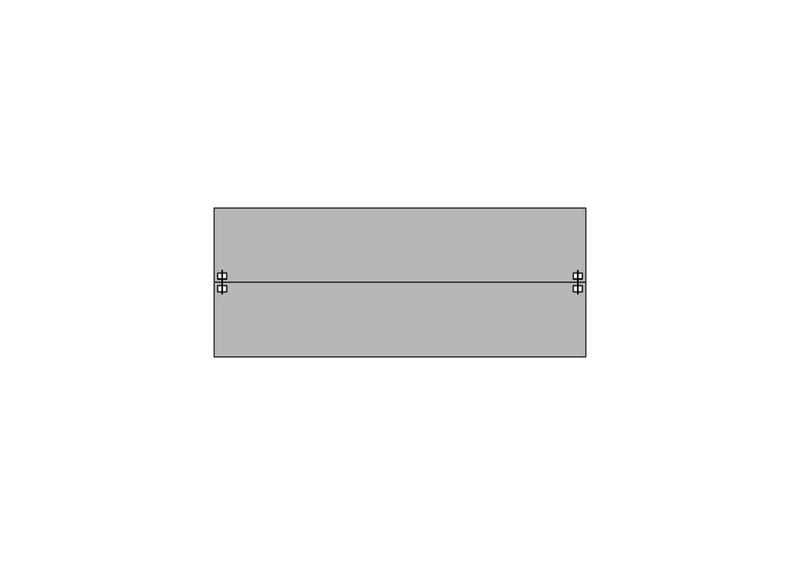 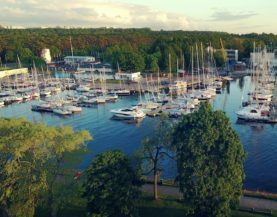 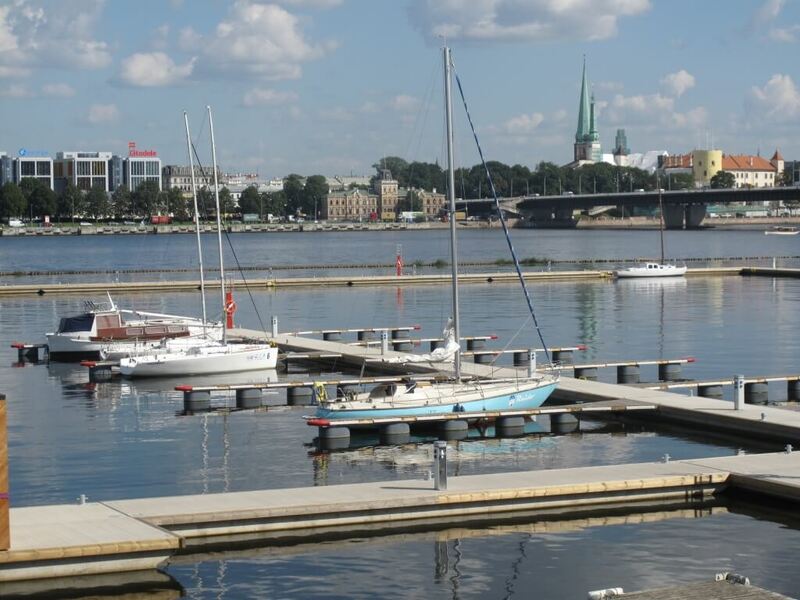 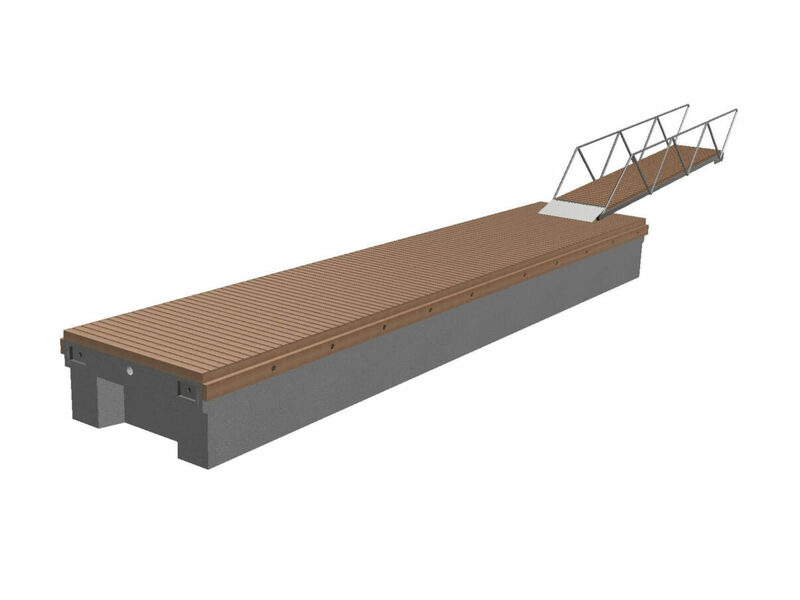 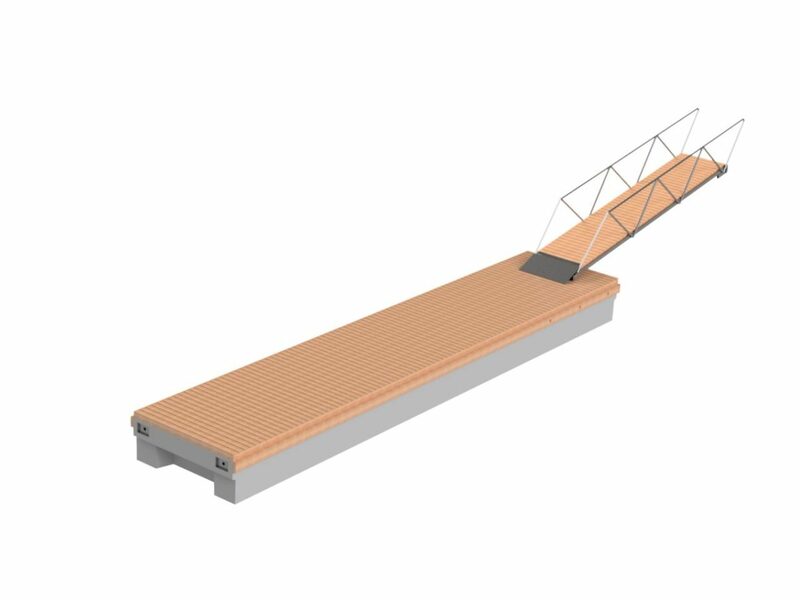 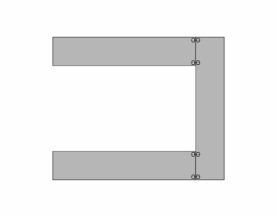 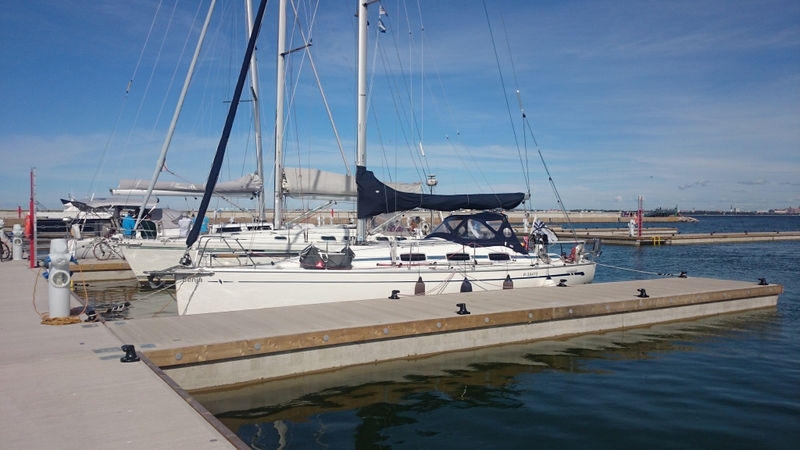 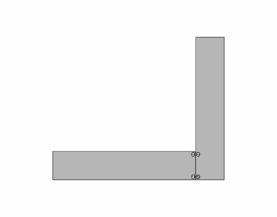 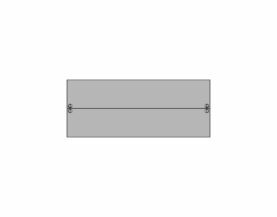 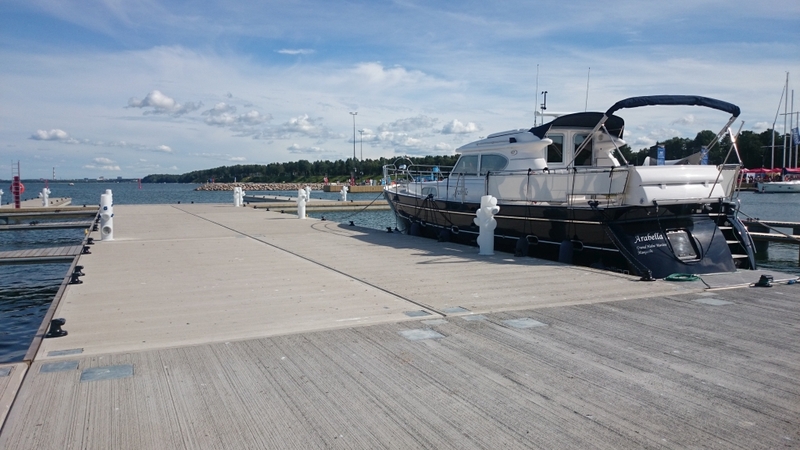 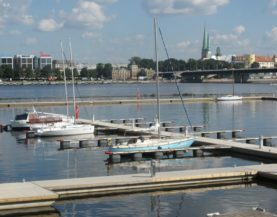 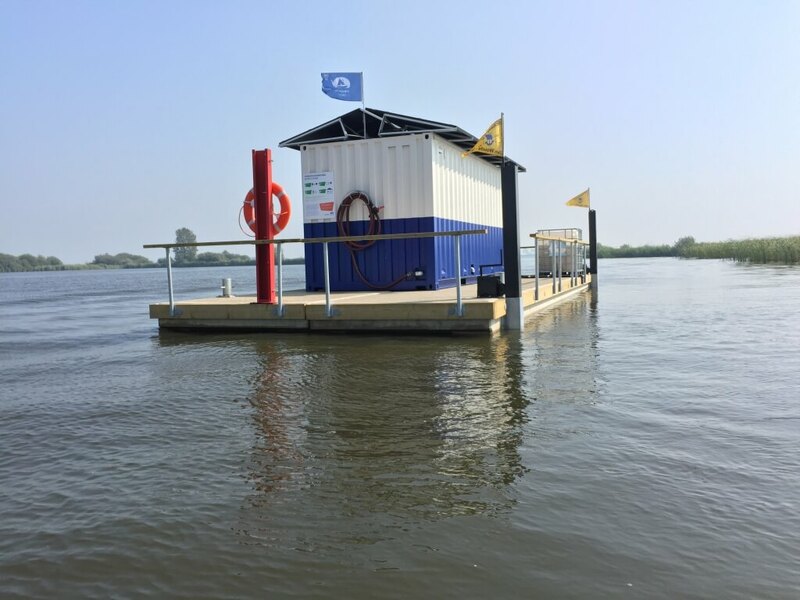 Freeboard height is 0.49–0.7 m.
Heavy duty pontoons come from the factory with dry brushed surface and without wood decking. 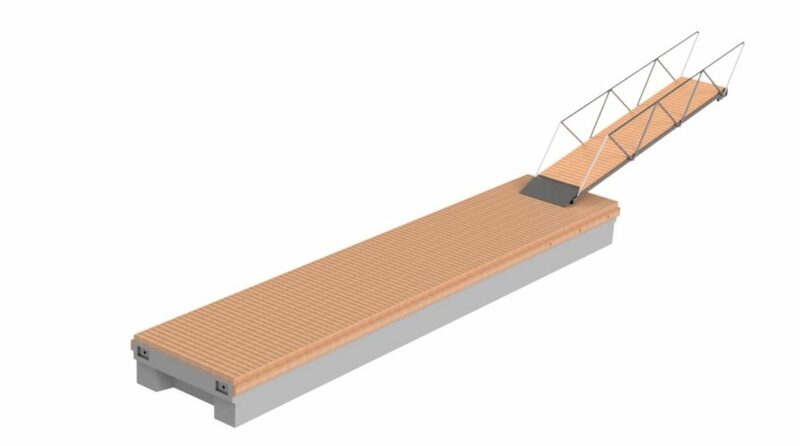 You can buy boarding made from high-quality impregnated knot-free timber as an accessory. 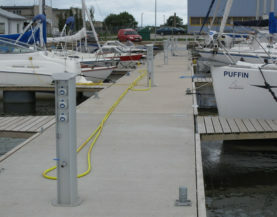 For mooring, boat booms with plastic floats, mooring fingers or anchor buoys can be fitted to the pontoon. 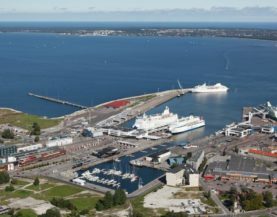 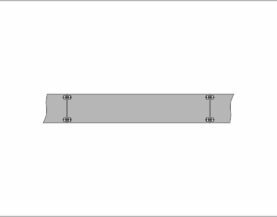 A range of accessories are available, including wood decking, side decking, railings, ladders, fenders, bollards or mooring rings, lighting posts and a lifebuoy set. 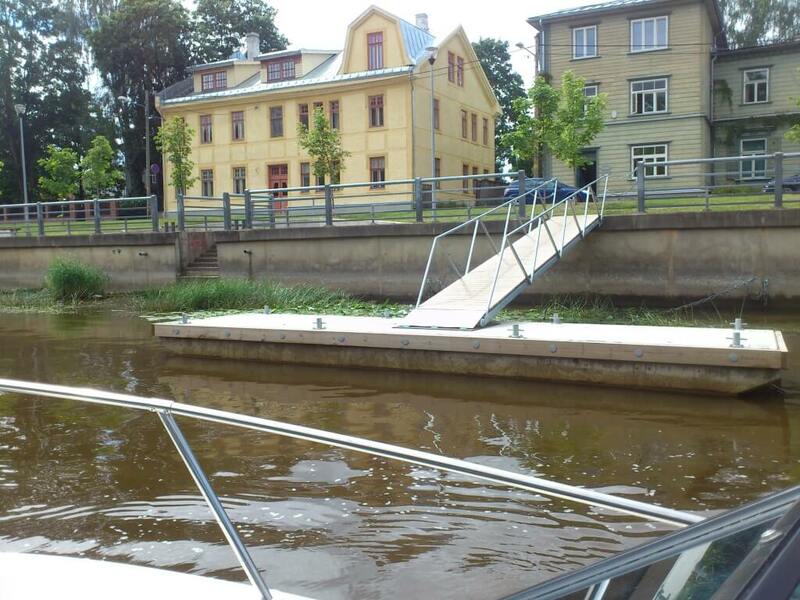 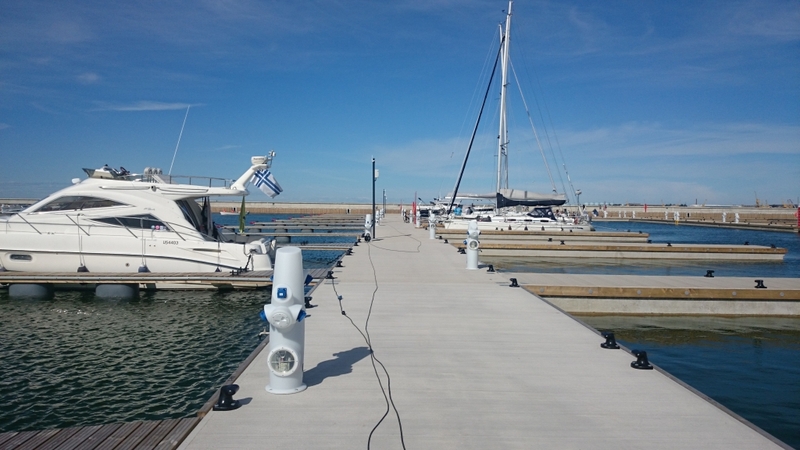 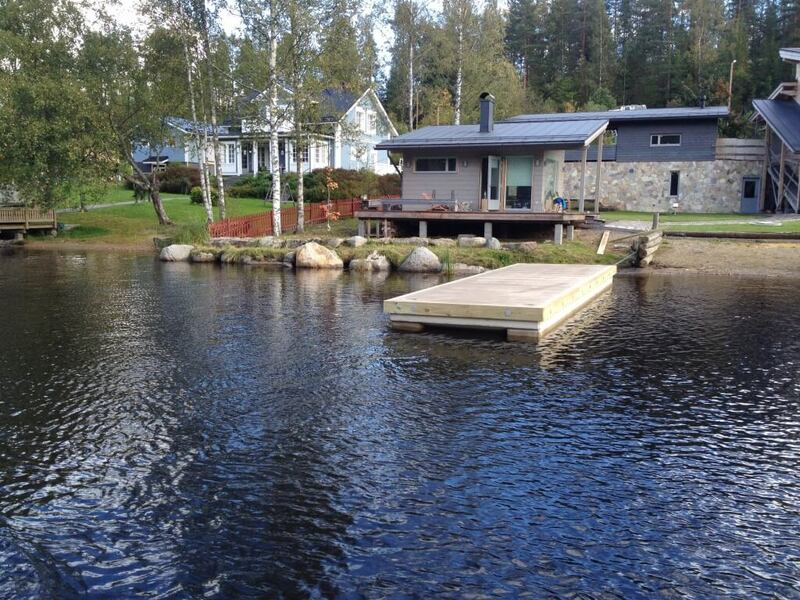 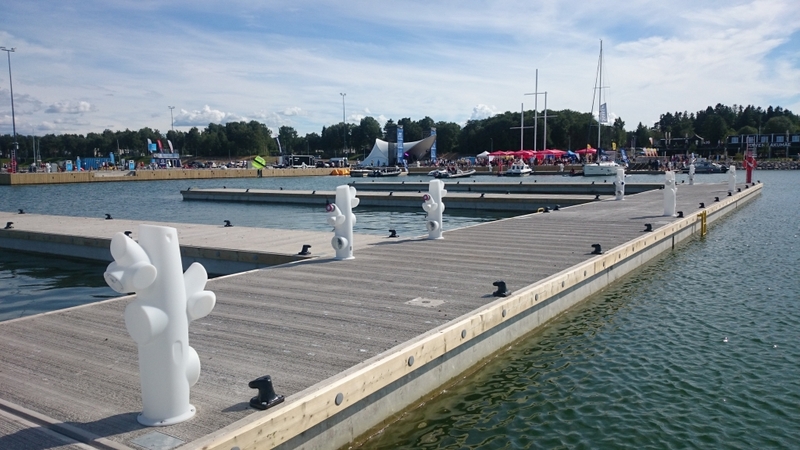 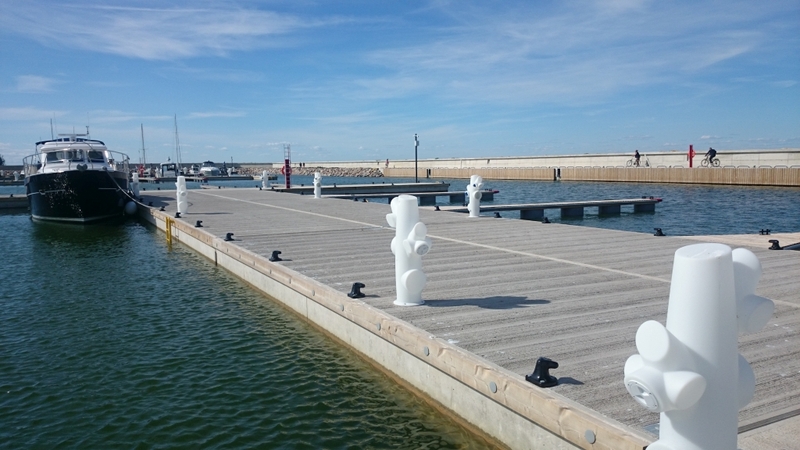 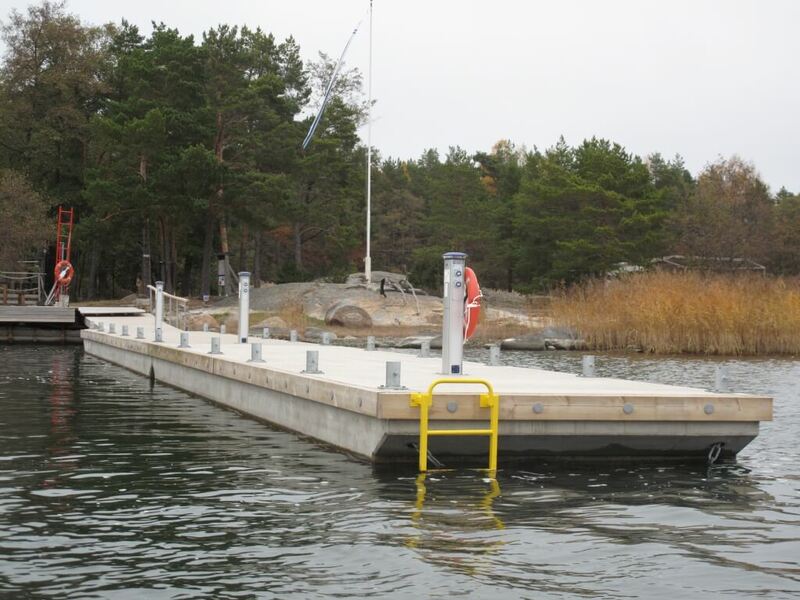 The pontoon can be made especially exclusive with noble wood decking or LED-lit bollards. 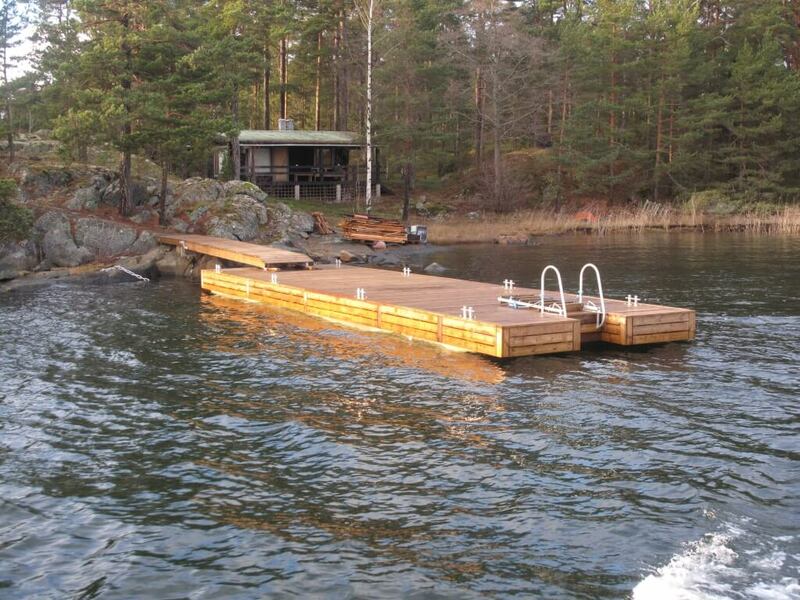 remove ladders and booms in autumn to avoid damage by ice. 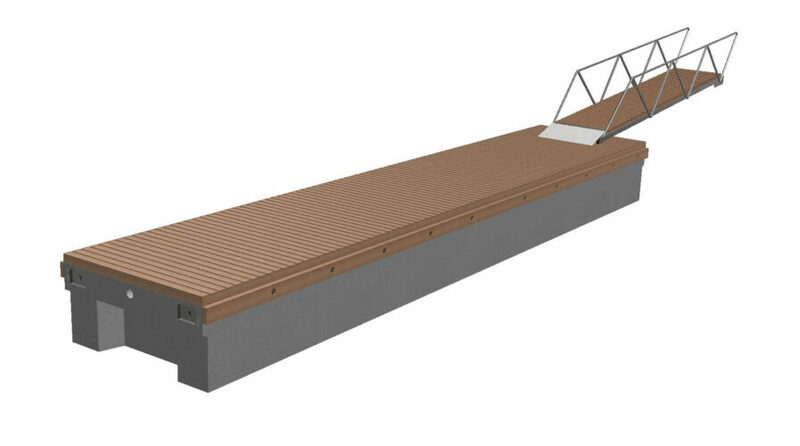 Load capacity 11.3 t, weight 10.25 t, freeboard height 0.69 m.
Load capacity 16.3 t, weight 13.17 t, freeboard height 0.71 m.
Load capacity 21.2 t, weight 16.1 t, freeboard height 0.73 m.